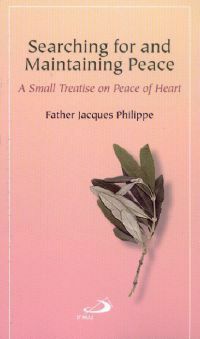 I really enjoyed the way Father Philippe explains his ideas in this short but powerful book. There were lots of great insights in this book about the things that disturb our peace and how to keep them at bay. Philippe makes great use of scripture in each section and he challenges his readers to relinquish control and rely more heavily on God - a tall order, but one which feels possible after reading Philippe's words. I read this book as part of a Lenten book study with the Abiding Together podcast, and I'm enjoying the commentary on it each week, even though I had to read the book quickly and get it back to the library. Sign into Goodreads to see if any of your friends have read Searching for and Maintaining Peace.